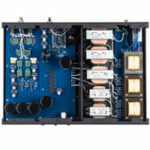 After reviewing the TBI Audio Systems Magellan VIII xu subwoofer and MGD-200 subwoofer amplifier, I requested TBI’s powered subwoofer to review in my “Digital Music and Video System”. My sources in this system are a Marantz Blu-Ray player, a Direct TV high-definition satellite box, and a computer-based system, all of which are plugged into a Peachtree Audio Decco integrated amp with built-in DAC, which powers a pair of Teresonic Magus A-55 speakers with Lowther A-55 drivers. 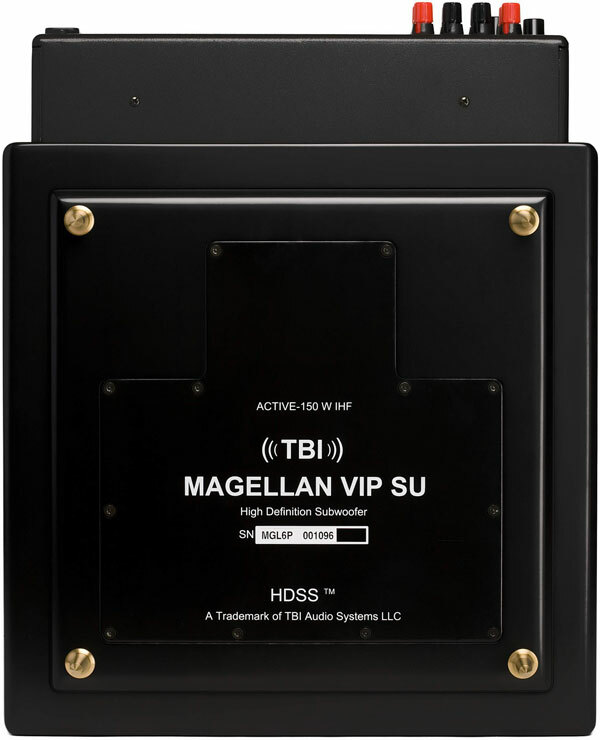 The Magellan VIP su is an active version of TBI’s Magellans VI su subwoofer. While TBI’s Magellan VIII xu I reviewed uses an 8-inch low mass driver, the Magellan VIP su active has a 6.5-inch low mass aluminum driver, and includes a rear-mounted amplifier. 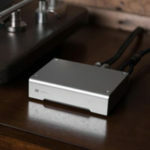 The amplifier is equipped with line- and speaker-level inputs, allowing maximum connection flexibility. It is also equipped with a fixed high-pass filter at 70 Hz to relieve the smaller mains from IM distortion supposedly at lower bass frequencies if you choose to use it. TBI claims the amplifier to operate at 85% efficiency so that it will not overheat if placed in close quarters. The Magellan does not use a switching amp but rather, a high-efficiency class AB that is a tried-and-true output stage for truly musical bass. The Magellan VIP su has easy-to-use volume and crossover controls on the amp, as well as a phase switch on the back. TBI says that once you set the controls you forget them, as the sound will always be in sync and the bass will be present even at low volume levels. This is true, but I wish you could set it up for music and movies and then simply throw a switch to choose between the two. I really liked how the TBI’s Magellan VII xu subwoofer and MGD-200 subwoofer amp sounded in my digital/video system. 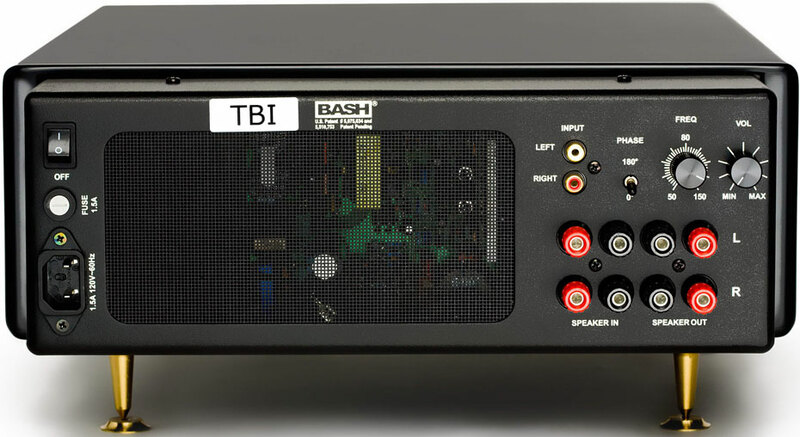 The only problem is that my digital/video is in our living room and while the sub took very little space, I had no place to put the separate amplifier that was of acceptable dimensions; this is why I asked for TBI’s powered subwoofer to review. I wanted to see if it would meet my space needs in this system. What I was hoping for was a sub that would give movies the kind of bottom-end that gives you the feeling that you are at the theater, and at the same time was fast enough when listening to music to use with my Teresonic Magus A-55 speakers (which use Lowther’s A-55 Alnico full-range drivers). TBI’s passive sub with separate amp did this, but could the powered sub do it also? 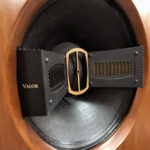 Ultimately, whether we’re talking about a ribbon tweeter or in this case, a subwoofer, the most telling ability of a component that produces the frequency extremes is that they do their job without bringing attention to themselves. When watching movies though, I expect most of us like to hear and feel a little extra, obvious bass. I guess the good news is that with a subwoofer, you can get both by just turning up the volume a little on movies. Oh by the way, I still contend that of all the components in a system, a sub woofer is the one that most needs a remote control. Think how nice it would be to just have a remote with a switch for music and one for movies. Again, the purpose of a subwoofer is to add the bass that the mains lack, without bringing attention to itself. Too much emphasis and the system will sound boomy and the midrange will sound overly warm. Done right though, a subwoofer like the TBIs can fill in that deep bass, resulting in increased soundstage and spaciousness. They can also give you a more accurate tonal balance by letting you hear musical information that you have been missing. With both of the TBI subs that I have reviewed, there has been so little sound of their own that it is very hard to describe their sound. The pitch, beat, leading edge, and decay are consistent from the system with or without the subs turned on; you just get better sound with the subs on. The best news is that even the active sub has the speed to easily keep up with the Lowther drivers in my system. The TBI subs have proved themselves to be extremely agile, and can also explode with power when called upon. Summing it up, the Magellan VIP su Active Subwoofer is a sub that leaves no trace of its own sound practically, even when used with the fastest of speaker systems. 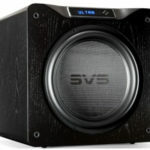 I was simply left with the sound of my system plus all the benefits that come with a great subwoofer. I started the review by sharing with you my purpose for asking to review this sub in my digital music and video system. I was more than pleased with the way the VIP su worked out in that system. I still wish for the extra convenience of being able to more easily change the volume for music and movies, and back again. Still, I will probably keep this little wonder and just enjoy it. If I was going to put a subwoofer in my primary music system, I would go with TBI’s Magellan VIII xu passive sub and their MGD-200 subwoofer amp. For my needs, the VIP su Active wins the day, with a great sound all in one small, simple package.